Delicious balls of cake and frosting mixed together and shaped on a stick. Each one is hand-dipped in decadent chocolate and beautifully decorated to fit your occasion. Make your special event even sweeter. Better yet, make it POP. Customize with colors, monograms, designs, sprinkles and creative packaging. 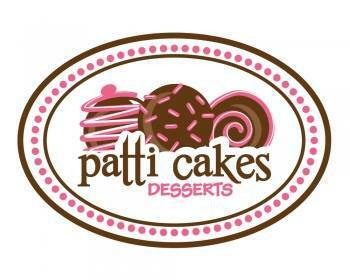 All of Patti's sweets are custom made just for you! "EVERYONE loved your sweets! My mom and sister cannot stop raving about them. Thank you and thank you for working with me. I appreciate you and will for sure tell everyone I know of your wonderful business!" "The cake pops were a HUGE success. So pretty and so delicious. Thank you so much. I've already given your name to a friend who's planning a wedding." "Your cake pops were a hit! Some other units in the hospital liked them so mucuh that they asked for your information to place an order. Thank you so much for working with us! "Patti, the pops were such a fabulous hit with everyone last night. Thank you so much for such a unique and delicious grand finale to the night." "Patti, you outdid yourself on those cake pops! They were darling - so creative and festive! Thank you so much." "Thank you again! The students enjoyed the sweet treats!" They were a huge hit, thanks so much for the great work!" "I just wanted to thank you again for the fantastic ob making Caroline's cake pops! They were a huge hit and were gobbled up by everybody." "I just heard from my daughter and she said they were the most delicious things she had ever eaten and very festive looking! Thanks again for making them and getting them to her!"